Please RESPECT all Massage Therapists and our Business Partners. Everyone deserve to be treated with dignity and professional manner. London is a home to some of the best massage parlours in the world. Sometimes, though, you want something a little more laid back. Sometimes you want an independent massage therapist to come and visit your home or hotel room in order to relax your muscles and provide you with that hit of endorphins that comes after a good massage. There are many great things to do in London. It's the world's best city when it comes to sightseeing. There's also a great nightlife to be enjoyed. But sometimes, you just want to slow down the pace, close your eyes, and let the stresses of your life fade away. It’s at times like these you needing a massage. London, as you can probably guess, has hundreds of professionals who can give your body a working over. But which ones are the best? Where can you go to find such a therapist? Well, if you live in you in the Capital, there are plenty of places to find a selection of dream independent mobile massage therapists in London the UK. All you'll need is an internet connection and a phone to arrange mobile massage London therapist to visit you at home or hotel's room. People of all skill sets offer their services online in the hope of gaining loyal customers. On the site, you can find dozens of trained massage therapists just waiting to get their hands on your tense muscles so you'll be able to find somebody who looks just right for you. Both male and female therapists are available, and you'll be sure to find different therapists in many different price ranges. Read your masseuses or masseurs profile, and see whether the type of massage they specialize in is the type you're looking for. These masseurs are happy to visit your home or hotel room, and bring all the equipment needed for you to enjoy a relaxing, oriental massages, Swedish massages, deep tissue massages, and more. Having decided, choose the therapist you want, then call them directly in order to get your massage booked. Many will have different schedule times, so do check availability with them before assuming a booking for incall or outcall mobile massage service in London. Hiring an individual therapist is a great way to get an enjoyable massage. London, being the big city that it is, is full of these individual therapists, meaning you can get the type of massage service you want at a price that suits you. Next time you want to unwind, consider opting for an independent massage instead of going to a spa. You may find the whole experience of them coming to you makes the whole process even more enjoyable than it already was. Tired after hard day at work? Do you want to forget about stress? Massage relaxes and invigorates your body and is often recommended by doctors as a complementary treatment and great for people who suffer from muscle, joints and bone affections. It helps the body regenerate and allows you relax and forget about pain and ailments. Our London Massage Therapists know everything about the magic touch that banishes stress and fatigue from your body. There are several types of massage you can choose from. Best London Massage? This was the best massage treatment I've ever had. My Masseuse was a highly skilled massage therapists in Thai and Swedish Massage. She was brilliant, so friendly and polite as well. The pressure applied during my massage was perfect. I felt great and so relaxed afterwards. I will most definitely be returning on a regular basis as in my opinion it is best mobile massage London therapists. I loved the service from 'Massages Me UK'. Can't believe how easy it was to book the massage. Not often you find that! The massage provided by professional mobile Masseur in London was exemplary. It costs less than going to a clinic and he comes to you! I couldn't recommend Male Massage Therapist more highly and I will definitely be using these guys more than regularly! The Masseuse was very polite, yet friendly and immediately put me at ease. She certainly knew what she was doing and seemed to know the exactly what suited me. I was very impressed and have already booked another appointment her for my visit in two weeks time. I am a little worried now that I will be seeing less of my old masseuse now as this was probably the best outcall massage in London that I have ever had! I looked on the internet and found 'Massages Me UK'. After looking at your website's Female Therapists page I contacted with my chosen Masseuse. I called her number and very quickly arranged for the mobile Masseuse to come to my hotel in London. She was very polite and so I felt very comfortable. After my treatment I felt very relaxed and un-eased. I would definitely book another massage from your website when I need massage in London. Ready to have a massage? Please visit Male or Female Massage Therapists and book a session today. To maintain good health more and more people are turning to the therapeutic and relaxing massage practitioners in London who are able to relieve the tensions associated with our busy lives, work related stress and lack of exercise. Allowing some regular time for a massage will help you balance the stress level in your body, allowing your body and mind to drift away from day-to-day problems leading to tranquility and harmony within yourself. Massage works by loosening tight muscles, improves circulation of blood within the body which enhances the delivery of oxygen, nourishes cells, and improves waste elimination. The ability of touch can often be underestimated. The skin is the largest and also the most sensitive organ of our body and the message which can be conveyed to it through touching gets provided for the brain which responds to tactile stimulation. The entire health and vitality of the body depends a great amount on the sense of touch. Massage reduces the hormone cortisol levels in the body and increases the 'feel good' hormones - so it will make you feel happy again! Massage is one of the most powerful modalities to restore the entire body to rebuild the balance of spiritual and emotional life. If you visit London as a tourist or on a business trip, you can find one of many Massage Therapists, either male or female, depending on your personal preferences, who ill be able to provide Visiting Mobile Massage in London the UK and visit you at your apartment or hotel's room. You may also choose to explore the city and pop in to one of the Therapists' private Massage Studio or Venues across London. Welcome to Massages Me UK, a place where you can find a list of independent Massage Therapist and Massage Venues in London, useful information about massage techniques and health benefits. Please feel free to choose between Female and Male Massage Therapists in London depending on your own personal preferences. You may also choose to explore in the city and pop in to one of the Therapists private Massage Studios or a Massage Venues across London. If you suffer a sport injury, muscular aches and pains, you need Therapeutic Massage London specialists. If you are a resident in the capital you may want to book your one off massage session or find for yourself regular Massage Therapist. Unplugging yourself from the world on a regular basis is worth its weight in gold as passionate professionals work in harmony, applying simple and natural processes that promote well-being in all they do. 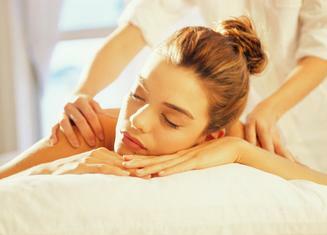 Massage services should be affordable and easy to fit into your demanding schedule. Self-care, stress relief, pampering… Whatever you call it, you deserve to indulge yourself as often as your mind and body require. Massage is not just a therapy - it is a part of a healthy lifestyle for everyone! Swedish massage- the most common of massages, relaxes the entire body while rubbing the muscles with long gliding strokes in the direction of blood returning to hearth. It is exceptional for increasing the level of oxygen in the blood, decreasing muscle toxin, improving circulation and flexibility while easing tensions. Thai massage - this type of massage is performed on a floor mat. The technique of passive stretching and gentle pressure with hands and feet is both relaxing and energising. This massage helps to adjust the skeletal structure, relieve muscular and joint tension, increase flexibility, stimulate the internal organs and balance the body's energy system. Remedial massage - holistically treats the whole body and traces the discomfort back to the original cause. It uses specialised techniques to speed up the body's own repair mechanism. The massage is applied directly to the skin usually with an oil lubricant. Passive stretching moves are also employed. Deep tissue massage - similar to Swedish massage but is used to target knots and release chronic muscle tension. Other benefits include reducing inflammation and helping to eliminate scar tissue. This is great for rehabilitation after injuries for chronic issues or keeping in shape. Chinese massage - is a part of traditional Chinese medicine, closely related to acupuncture and acupressure. Chinese massage treatment creates movement and is therefore seen as a treatment for pain relief. There are two types of Chinese massage - Tui na which focuses on stretching, pushing and kneading the muscles and Zhi Ya which focuses on pressing at acupressure points and on pinching. Tui Na is part of Traditional Chinese medicine and involve Meridian Application, Herbal Formulas, Qigong Therapy and herbal application. 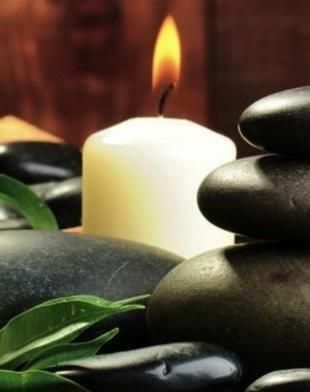 Hot stone massage - uses water heated stones to apply pressure and heat the body. Stones coated in oil can also be used by the therapist delivering various massage strokes. The hot stone therapy melts away tension, eases muscle stiffness and increases circulation and metabolism. The stones used are commonly Basalt stones or lava rocks, which over time become extremely polished and smooth. Sport massage - known as manual and manipulative therapy. Sport massage is a physical treatment primarily used on the neuro-musculo-skeletal system to treat pain and disability. It is valuable on to an athlete's preparation and recovery, preventing injury and helping to achieve optimal performance. It mostly includes kneading and manipulation of muscles, joint mobilization and joint manipulation. 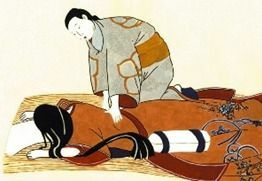 Shiatsu - traditional Japanese 'healing therapy' originating from the Japanese amma therapeutic massage. Shiatsu is a type of alternative medicine consisting of finger and palm pressure, thumbs, elbows, feet and knees. stretches, and other massage techniques. Works to unblock energy flows and restore balance to meridians and organs. Reflexology - healing technique based on the principle that there are areas, or reflex points, on the feet and hands that correspond to each organ, gland and structure in the body. By working on these reflexes, the reflexologist solves blockages and tensions in the rest of the body. It is non invasive treatment which can give a boost to the entire body's output. Relaxing massage - therapists uses gentle and smooth gliding strokes with less emphasis on working out serious adhesion or knots in the muscle tissues. Helps to improve blood circulation by focusing on areas of tension, calming anxiety and asthma, decreases stress hormone - cortisol, improves mood and feeling of well being. In addition to relaxation, massage can reduce pain, increase energy levels, improve physical/mental performance and stimulate the body's lymphatic system to carry away waste products of metabolism. Lomi Lomi massage - Lomi Lomi massage originates from Hawaii and it is a healing practice deeply inspired by the spirit of 'living Aloha'. The therapists use palms, forearms, fingers, knuckles, elbows, knees, feet, even sticks and stones to restore your body's positive energies so you can reach a relaxing feeling of well being. Indian Head massage - based on the ancient healing system of Ayurveda has a strong effect on three higher chakras (energy points) - the mind, body and spirit. This very revitalising massage of head, upper back, shoulders, arms, neck and ears is ideal for those who suffer from headaches, migraines, anxiety, stress and sinus problems. This is a Premium directory of independent massage therapists and companies based in London, which are serious about their business, profession, and would like to be supported through promotion of theirs' services. Our mission is to promote massage as a way of relaxation, stress relief, physical recovery, and powerful feeling of well-being through the magic of touch. Massage in London is offered by best Masseuses and Masseurs around the capital of England. Enjoy Relaxing and Remedial London Massage today!